Getting the shot is always at the forefront of the mind of a photographer. At times, photographers, including yours truly (Dew), have been known to have a lapse of judgement in the quest to get 'the shot'. 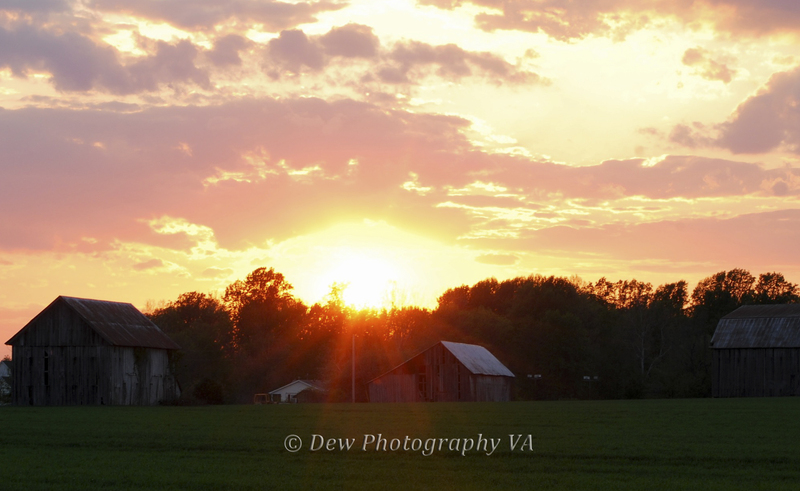 The Southern MD Sunset Series would be one of those times when I became engulfed in capturing the sunset. The Dew Photography VA self-appointed bodyguard, Dew's hubby would find it necessary to express his concern for her safety. We had pulled over on the side of Southern MD 234 (also known as Budds Creek Road), with the bodyguard's permission to obtain the photos. Yet, apparently it is unsafe to lean on the side of a vehicle facing away from traffic while snapping my photos. Said bodyguard, explained how if the vehicle was hit the force would impact the person leaning against the vehicle....me. 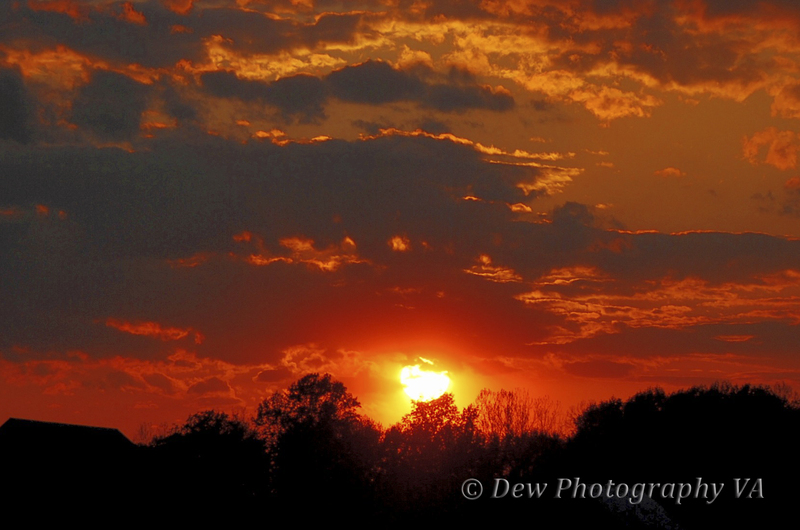 The Southern MD Sunset shots were originally taken with a specific client in mind. However, the client decided to pass and they became a part of the "Life of a Picture" series. "Whether you have obtained the whole series in this particular portion of the "Life of a Picture" collection or acquired just one piece, we thank you for becoming a part of the "Life of Picture" Collection. I have shared the beginning of the story and it has lived on, grown and flourished. 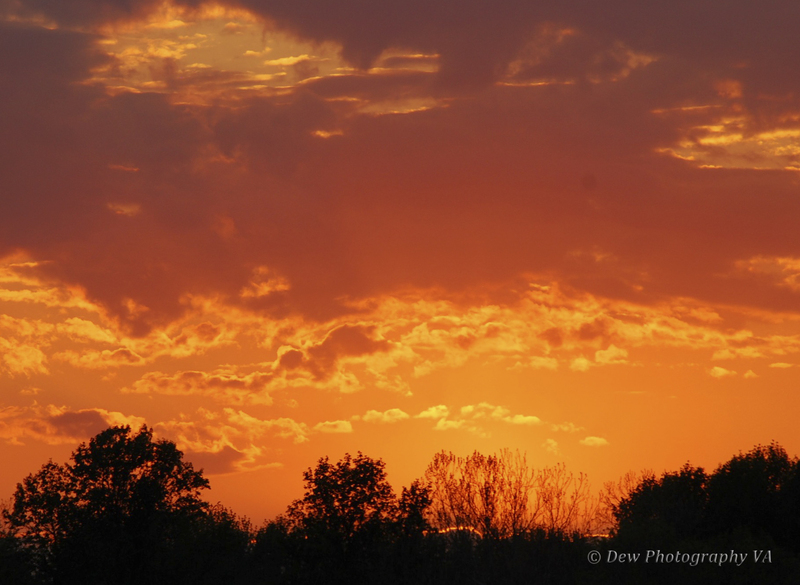 I give all thanks and glory to my creator, God and what He has shown me through my camera lens. It makes me smile when the photos morph into a life of their own."